Keith has been here ever since, growing and selling his beautiful roses from the nursery for over 35 years. Older brother, Chris started his career in Roses, working at Bees in Chester. Keith worked there as a teenager propagating roses. In their young, free and single days, the brothers went on their travels, budding at rose nurseries in Germany, Denmark and New Zealand. C & K Jones love roses. 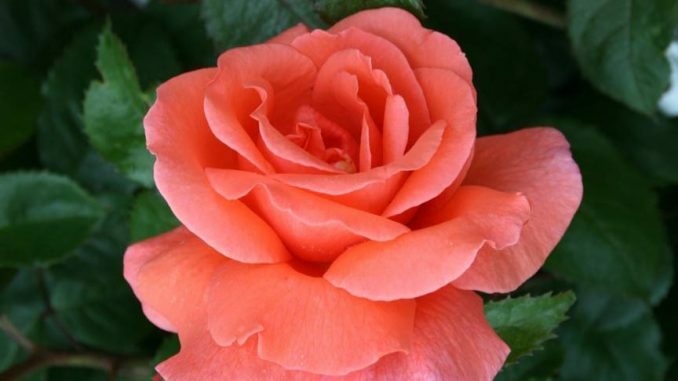 Certifiable “rose fanatic”, Keith with his wealth of knowledge, keen eye for quality and fierce attention to detail is well known among growers and gardeners internationally. A specialist grower, C & K Jones run a thriving wholesale and mail order rose business. C & K Jones is a husband and wife partnership. Keith married Rachael in 2004. Since then, the roses have really got under her skin! Green fingers, patience and tolerance for bad weather isn’t all you need to become an award-winningrose specialist. Rachael is quite a talent when it comes to floral display, winning many awards. 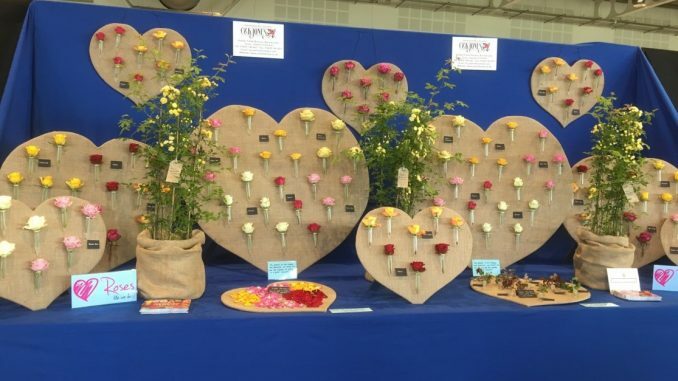 The latest is gold medal at Harrogate Spring Flower Show (below). As if preparing roses with Keith isn’t enough, Rachael rears sheep and pigs at the nursery and keeps rescued battery hens, selling eggs and meat from the nursery too.